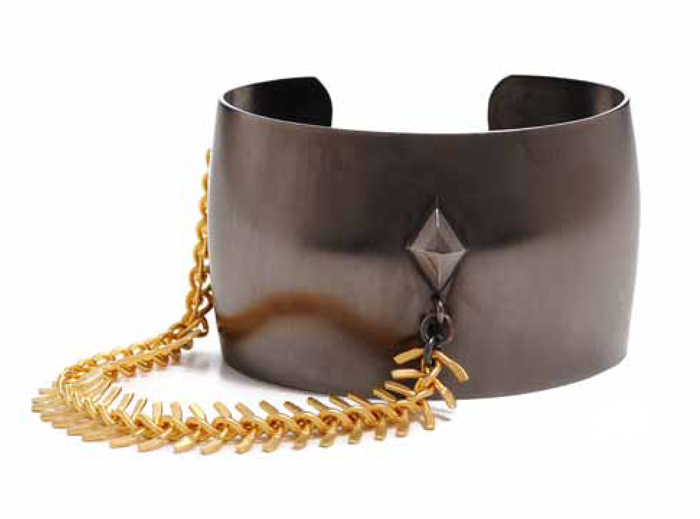 ...Michael Spirito Jewelry. 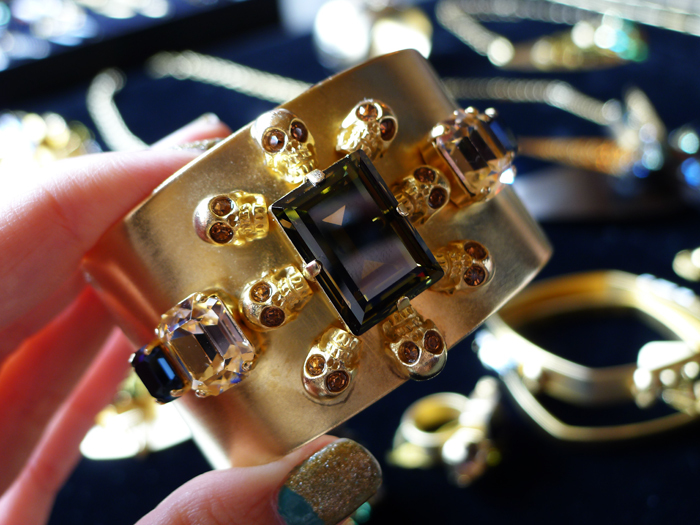 I had the pleasure of viewing their perfect F/W 2012 collection at Petit Ermitage last week. 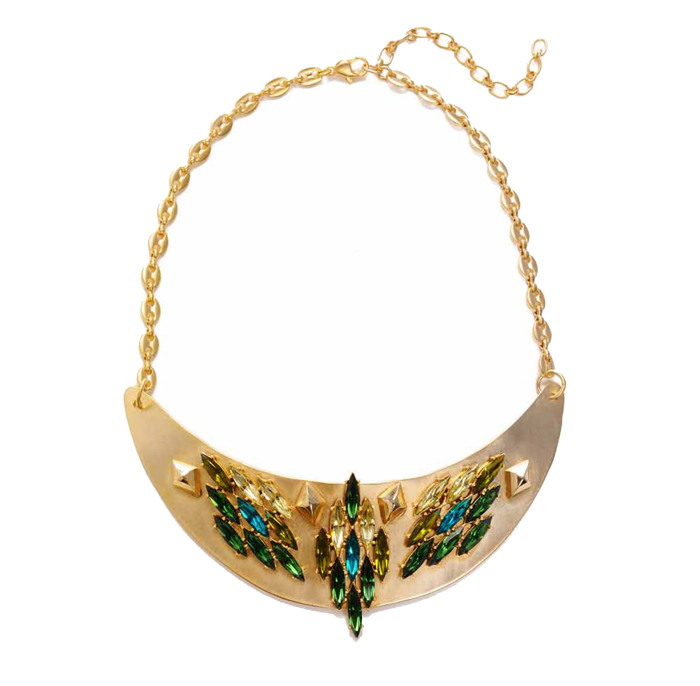 I took full advantage of playing with their amazing handcrafted jewels that perfect the balance of feminine and edgy. And o.m.g. 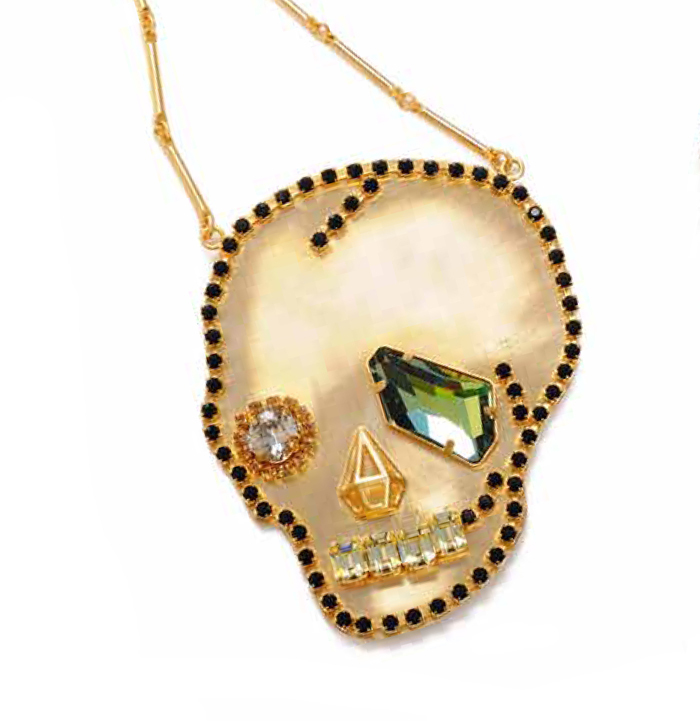 seriously the first jewelry collection I've seen that has flawlessly accomplished this rare feat. They have baubles and ringthings that can be your statement or your accessory, but all will take your look to the next level. It's just enough rocker chic to add to any sophisticated outfit. Michael puts so much attention to detail while creating outside of the box as you can see with the fishbone dangle on the cuff or the simple skull blending into the emerald and black ring. I can just imagine going through those morning decisions not knowing what to wear and grudgingly putting on another maxi dress; but if I had his awesome skull or collar necklace, my morning would be done and happy. 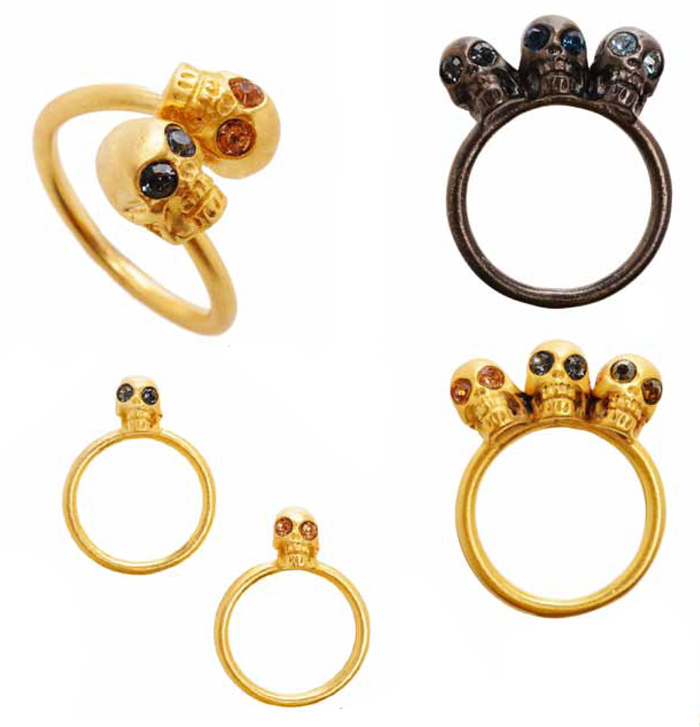 My favorite pieces are the signature skull rings and the pave diamond rib cage necklace. 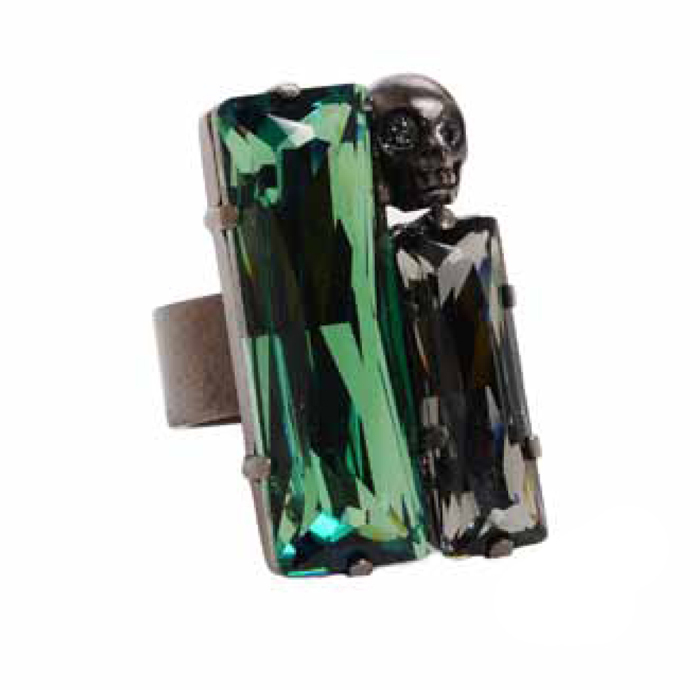 Isn't that Flora di Morte ring I'm wearing (c/o) perfect for spring/summer? It has never left my finger since the preview. 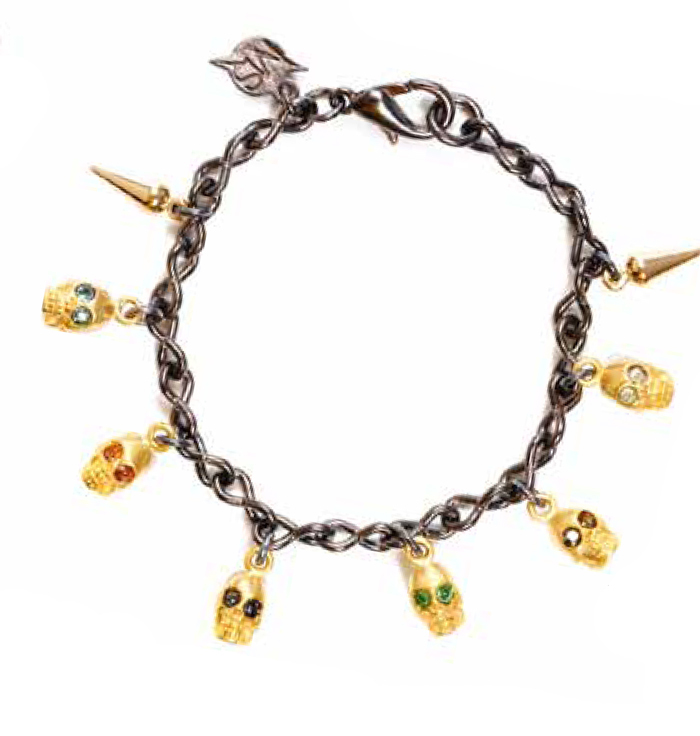 You can never have too much skeleton in your life. Love all of the pieces. Totally with you on this! All of these pieces are so special!